"Peace is the engine that powers the EU. Each member is an essential part of the engine. Should one stop, we will all stop." Ana Fanlo won the drawing competition for children aged 8-12 and so will also participate in the Oslo mission. “My grandparents would have said a dream. My parents would have said a process. I say that it's my everyday reality!” Larkin Zahra's description of what peace in Europe means to him has earned the 23-year-old Maltese the chance to attend the Nobel Peace Prize ceremony in Oslo after his entry got the most likes in our Facebook competition. He and three other winners of the Peace Europe Future youth contest will join the official EU delegation travelling to the award ceremony on 10 December. The youth activist explained: “I wanted to picture the EU's achievements in a simple but catchy phrase. I put myself in my parents and grandparents' shoes and I realised that our current reality was different for them." His victory has been welcomed in his native Malta. So much so that on Tuesday he met Maltese president George Abela who congratulated him on his success. Larking said he was proud to represent the Maltese and Europeans in the Oslo ceremony. "Being from Malta, the smallest member state of the EU, makes this achievement a little more special to me." 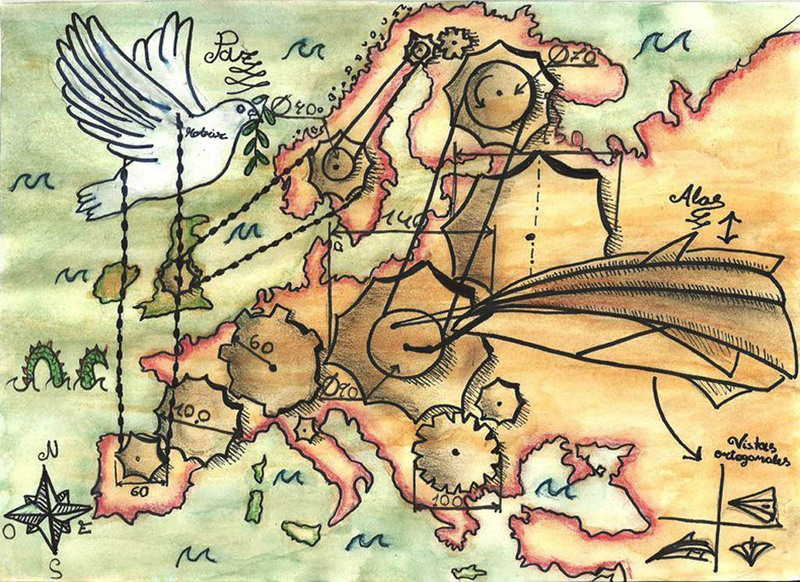 Because of the EU wining the 2012 Nobel Peace Prize, the EU institutions organised together with the European Youth Forum a drawing and writing contest for young Europeans aged 8-24, who were asked to answer the question: what does peace in Europe mean to you? Apart from attending the ceremony in Oslo, Larkin will also go to the Nobel Peace Prize concert in Oslo on 11 December. In addition he and the nine runners-up of our Facebook competition have been invited to Strasbourg for a special Nobel Prize event in the European Parliament on 12 December.